We understand that reliable dispatching service is critical to your business. Our professional trained staff can gather accurate information and dispatch calls around the clock everyday of the year. 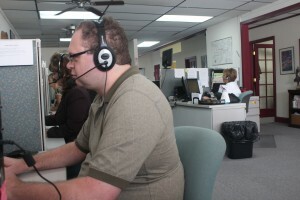 Our operators, have superior communication and computer skills, are responsible for sending and receiving genuine and dependable messages and recording crucial information. We can dispatch you or your staff in a multiple of ways. We offer cell phone, pager, 2-way radio, e-mail, FAX and PDA dispatching as calls come in. We understand that you never want callers or customers to hear a recorded message if they are in need of rapid dispatch because of an emergency situation. By using our cutting edge dispatch service, we can diminish your costs while helping you run more efficiently. Your customers will be impressed with our friendly and helpful staff and your team will be impressed with the accuracy and timeliness of the messages.